Artistic subjects have the role of educating children so that they can spend their free time well as either performers or listener-spectators of cultural-artistic material. Music education is directed towards the same goal, namely: educating a child to be an active (re-)creator of and listener to music. The activity of performing music through singing or playing instruments presents the most important part of music education. 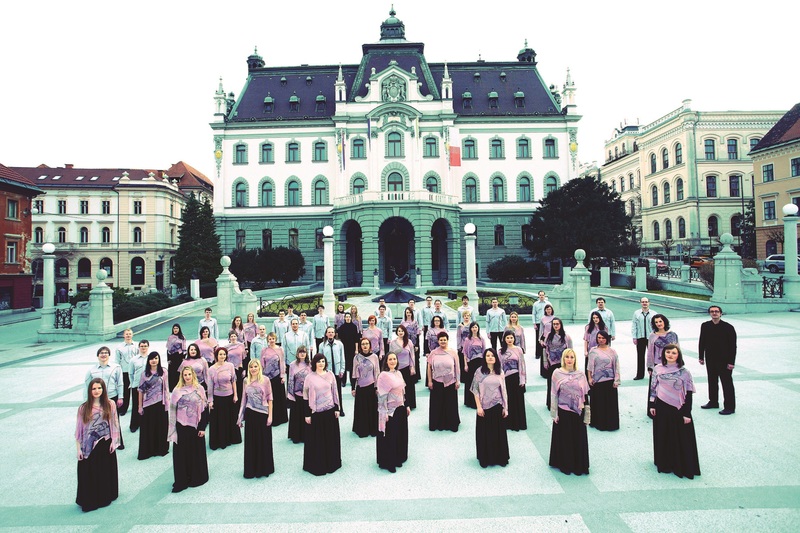 Choral singing has a rich tradition in Slovenian national culture, which is also reflected in the Slovenian educational system. In this way, singing is made possible for all children through the compulsory subject of music education and via the interesting activity of choral singing, in which children can choose to join. Music education and choirs are led by professional instructors with university degrees. Within pre-school education, children’s singing is included in the field of art, defined by the national curriculum. It is performed daily as a part of the regular pre-school educational program. Many kindergartens feature choirs as a part of their extracurricular programs. They are led by teachers – or their assistants – with an affinity for music. All children can enlist regardless of the level of their musical skills. Choir rehearsals are held once a week for one hour in the morning or the afternoon. The main goal of pre-school choral singing is experiencing, perceiving and enjoying the singing. The children most often perform for their parents within the school region. Ciciban poje in pleše (Ciciban sings and dances, Ciciban being an affectionate name, taken from Slovenian literature, for a typical small child) is a national gathering of kindergarten choirs and dance groups, organized by the national Public Fund for Cultural Activities; it features at least twenty choirs and dance groups and takes place in Maribor every year. While not conceived as a competitive event, participants receive expert feedback on their performance. Singing is part of the compulsory program in elementary schools. It is performed within the subject of music education from 1st to 3rd grade 70 hrs/year, in 4th and 5th grade 52.5 hrs/year, from 6th to 8th grade 35 hrs/year, and in the 9th grade 32 hrs/year. The goals and contents of music education are defined by the school curriculum. Choral singing is also systematically taught as a part of the extracurricular program, in which children choose an activity according to their own interests. Choir conducting was introduced as a teaching subject for music teachers meaning that a unison children’s choir has to be organized in every elementary school (70 hrs/year or 2 hrs/week), as well as a two- or three-voice youth choir (140 hrs/year or 4 hrs/week). Normally all the children who express an interest in choral singing are included in the children’s choir, regardless of their musical abilities. However, participation in youth choirs depends on selection by the choirmaster according to musical abilities as well as interest. Goals and recommendations for work with the choir are concept-defined. The role and purpose of elementary school choirs are performances in the school area and at regional or state level, as well as international choral events, gatherings, and competitions. At high school level, in the grammar school program, music education and singing activities are only included in the compulsory subject of music in the 1st year: 70 hrs/year. Objectives and contents are fixed by the curriculum. Choral activity is managed as a part of the extracurricular program, normally limited to high schools employing a music teacher (grammar schools and high-school centers). In the school year 2010/11 the position of the choirmaster as a professional figure was formalized in the network of public music schools. Unison or two- or three-voice choirs can thus be organized in music schools, with seventy hours of rehearsals a year (two hours a week). Subject goals are defined by the curriculum. Based on the facts presented above it is clear that the existence of choral singing is only provided systematically at elementary education level or in music schools. 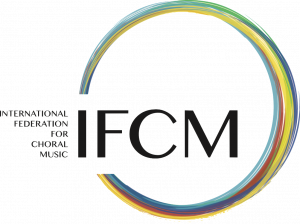 The existence of choral singing is dependent on the interest of music teachers and the support of school management at higher levels of education. The majority of elementary- and high-school choirs are led by music teachers who have completed the university program in music teaching, or in some cases also teachers who have completed programs in composition and music theory. Only graduate conductors can direct choirs in music schools under current legislation. In kindergartens, the program is taught by educators with a university degree, their assistants with a high-school degree, and by class- and subject-teachers with university degrees in elementary and music schools, as defined by the curriculum. In 2010/11, 891 kindergartens carried out the pre-school program with about 76.000 children aged 1-6. The curriculum addresses six fields of activity: motion, language, art, society, nature, and math. The exact number of kindergarten choirs in Slovenia is unknown. In 2011/12, there were 451 elementary schools with about 160.000 pupils aged from six to fourteen. Children’s choirs are led by music or class teachers; youth choirs exclusively by music teachers. Communal and regional events take place each year and a national choral gathering in Zagorje ob Savi every second year (organized by the Public Fund for Cultural Activities). In 2011/12, there were 127 high schools with 87.500 pupils aged from fourteen to eighteen. Music is a part of the compulsory curriculum in grammar schools. Artistic grammar schools have more musical subjects that are vertically upgraded over the four years. There is no exact data available concerning the number of active high-school choirs. Based on the number of grammar schools, high-school centers and high-school choirs participating at national choral gatherings, it is estimated that about twenty high-school choirs are active in Slovenia. There are sixty-four public music schools in Slovenia with about 25.600 children aged from six to fourteen. Enrollment at music schools is subject to a test of a child’s musical abilities and skills. The exact number of active choirs in music schools is unknown. Music Teaching is available at the Academy of Music, University of Ljubljana, and the Department of Music at the Faculty of Education, University of Maribor; Composition and Music Theory are taught only at the Academy of Music in Ljubljana.